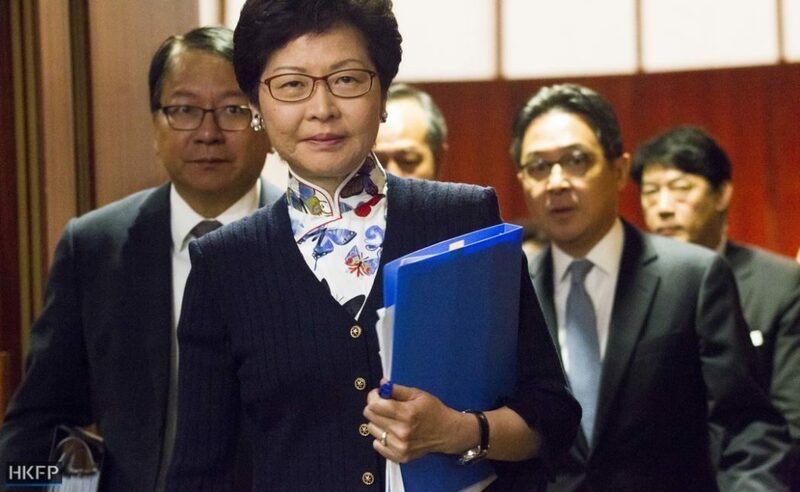 Chief Executive Carrie Lam has dismissed concerns over interference by the China Liaison Office – Beijing’s organ in Hong Kong – in the city’s internal affairs. 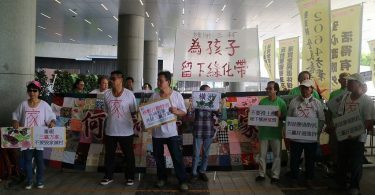 The pro-democracy camp has long protested against the Liaison Office’s active involvement in local affairs. The Liaison Office was set up in 2000 to replace the Xinhua News Agency – then the unofficial representative body of the Chinese government in the city – and serve as a bridge between Beijing and Hong Kong. Carrie Lam exiting the LegCo chamber. Photo: HKFP/Catherine Lai. Critics call the Office Hong Kong’s shadow government, alleging that it has its hands on a wide range of local affairs, including elections and political parties. Last month, the Office came under fire for sending an official to visit the Urban Renewal Authority and redevelopment project sites. The Office was also accused of helping Lam secure votes in the leadership election earlier this year, though Lam has denied the claims. 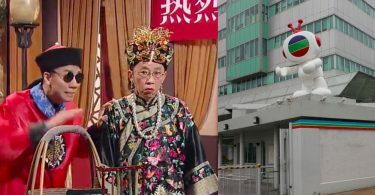 During Lam’s first Q&A session at the legislature as chief executive on Tuesday, lawmaker Alvin Yeung asked Lam if she has plans to restrict the Office’s role “in order to prevent the formation of a second governance team” in the territory. Yeung also asked Lam if she would legislate Article 22 of the Basic Law, which forbids Chinese government units from interfering in Hong Kong’s internal affairs. The provision in Hong Kong’s mini-constitution has yet to be codified in local laws. 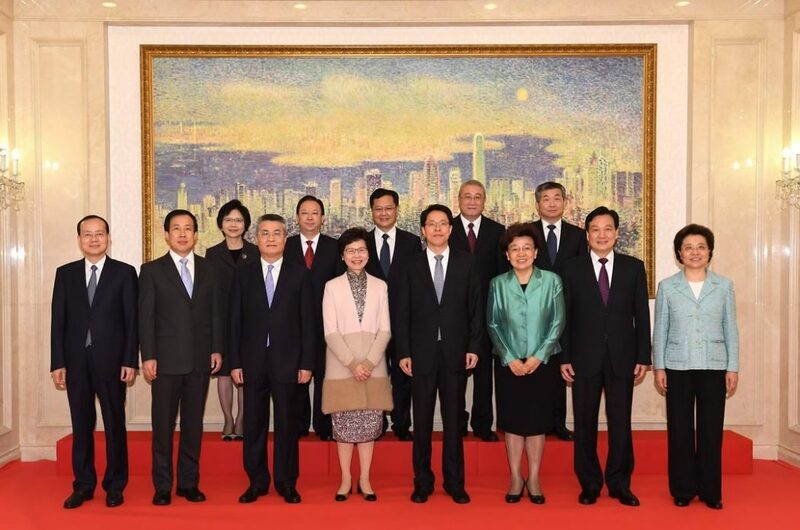 Carrie Lam and officials of the Liaison Office. Photo: GovHK. She asked the public to “wait and see” whether her government will be able to fulfil the promise. On Tuesday, Lam said she understands Hongkongers’ desire for universal suffrage and that she has become more humble after her experience in this year’s leadership race. 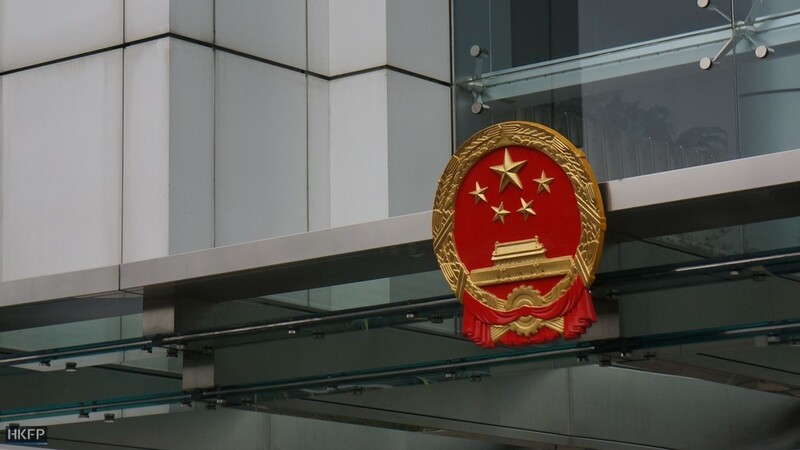 Lam said that if the government reopened talks on political reform in the near future, there would be “serious internal conflict” and public debates, which she said would lead to economic stagnation.